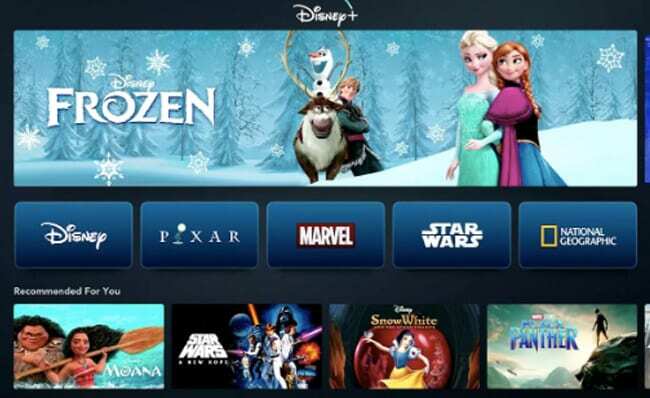 Disney+ is the newest streaming service expected to make waves against providers like Netflix, Hulu, Amazon Prime and Apple TV. But little has been said about the new streaming platform that all of our dreams are made of — until now. Disney executives gathered in Burbank, California Thursday to bring us some answers. Competing with streaming giants like Netflix and Hulu, which both run as low as $9.99/month, Disney+ will be available for just $6.99 a month, making it the most affordable on the market. U.S. subscribers are eligible for the annual plan for $69.99 per year, which works out to about $5.83 per month. The people have spoken, and the mouse ears have heard because the Disney vault will be open on Disney+. It was previously revealed that Disney’s entire catalogue would be available to stream. But we now know that at launch, the streaming site will offer 7,500 episodes of current and off-air TV shows, 25 original series, 10 original movies, 400 library movies and 100 recent theatrical films. Your whole family can catch up on new and old Disney hits for less than the price of a kids meal at Chick-fil-A. Can it really get much better than this? As Engadget reports, the streaming service, which is set to launch in the U.S. on November 12, 2019, will be home to the Marvel cinematic universe and will be streaming the new Captain Marvel movie from day one. The Simpsons will also be on Disney+, as will all the Pixar and Star Wars stuff. We’ll also see Frozen 2, the live-action sequels of Lion King and Aladdin, as well as Star Wars Episode VIII and Toy Story 4, all of which will not be streaming on Netflix. In addition to all of our favorites, Disney CEO Bob Iger announced Thursday that the streaming service will also include original content created by Disney, exclusively for Disney+. Following the U.S. launch, Disney plans to expand and offer the service worldwide within the next few years, but I think it’s safe to say, Disney is giving the other streaming giants a run for their money.